If Buck Rogers ate wheat as part of his daily diet, let me tell you, it would be buckwheat. He would throw out the rice with the bathwater, and chow down on this delicious grain. What's that Buck? It's not a grain? No it's not, it is actually a fruit seed that is related to rhubarb! What else can you tell me about this stuff Buck? 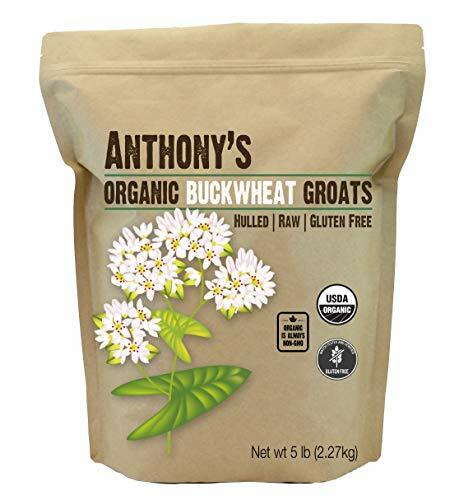 Well buckwheat is just full of healthy and easily digestible proteins, is non-allergenic, and is known for its mild and earthy flavor. Heck it's a superfood! It is a great replacement recipes that use rice and grains in pilafs, salads and more! Our USDA Organic Buckwheat Groats are certified organic by California Certified Organic Farmers (CCOF) and batch tested verified Gluten-Free by Celiac Spruce Association (CSA). Great substitute in recipes that call for rice or whole grains!